A carefully positioned development on a sloping site with spectacular outlook. 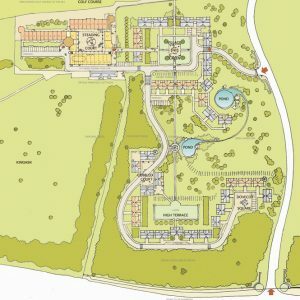 This scheme is arranged within the grounds of the Fairmont St Andrews Hotel, on a gently sloping site which looks north to St Andrews and out, over cliffs and beaches, to the North Sea. 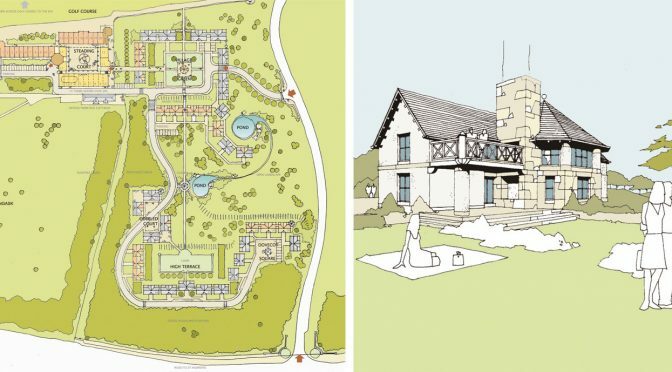 An old farm steading will be redeveloped to provide 34 residential units, a health spa and a restaurant, all arranged around a central courtyard. 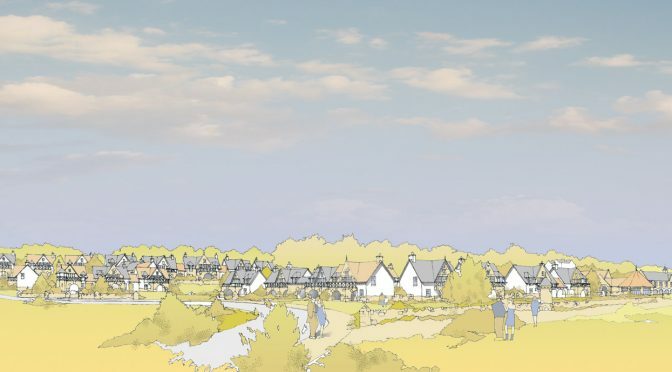 On the adjacent slope, 71 new freestanding units will be built in the form of a traditional ‘estate village’. This village is set out in a sequence of courtyards defined by the residences, all carefully positioned to ensure views to the golf course and dramatic cliff edge beyond. Key issues included the protection of the setting of the neighbouring and listed Kingask House, which was a principal concern for Historic Environment Scotland, along with maintaining the rebuilt steading’s roof profile and the visual impact when viewed from St Andrews. 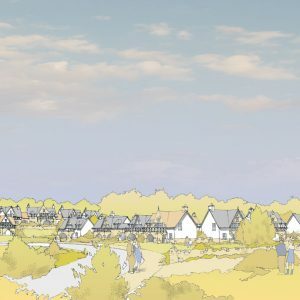 We developed a materials palette which sensitively addressed the local condition, to ensure the development would be integrated successfully to its very special setting.